Malaysia has a range of domestic energy resources including oil, natural gas and limited coal reserves. There is also an extensive hydropower resource and the potential for large solar and biomass contributions to the energy supply. Proven oil reserves were 2.9 billion barrels in 2010. During the previous year, production was 693 700 barrels per day (bpd) while consumption was 554 000 bpd, leaving a surplus of 139 000 bpd that was exported. The country’s natural gas reserves were estimated at 2350 billion metres cubic of gas in 2010. It produced 58.6 billion metres cubic and consumed 29.1 billion metres cubic of gas in 2009, allowing it to accumulate net exports of 29.5 billion metres cubic. Most of this is exported as liquefied natural gas (LPG) primarily to Japan, Taiwan and South Korea, making it second largest LNG exporter after Qatar. There is also a pipeline between Malaysia and Indonesia. Coal reserves in 2008 were estimated to be 4.0 million tones. Malaysia produced 1.4 million tonnes of coal in 2009 while it consumed 6.6 million tones, leaving a shortfall of 5.2 million tonnes that had to be imported. Coal use for power generation is expected to increase sharply over the next decade, requiring imports to also rise. 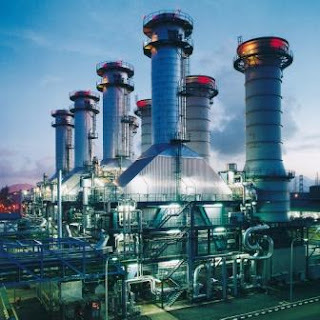 The government seeks to maintain a five-fuel mix for power generation. The first three are the main fossil fuels, but oil contributes less than 1% output, while coal and gas contribute over 90%. The forth source is hydropower, which estimates suggest could potentially provide 29 000 MW of commercially viable energy from 123 000 GWh of total potential. Most of the viable potential, 20 000 MW is located in Sarawak, with a further 5 000 MW in Sabah and 4 000 MW in peninsular Malaysia. The fifth energy source is renewable energy, excluding large hydropower. Malaysia has significant renewable resources including small hydropower, solar, wind and biomass. Palm oil has major potential as a biomass resource as Malaysia has plantations covering 15% of the country’s land area and producing a significant amount of combustible waste.